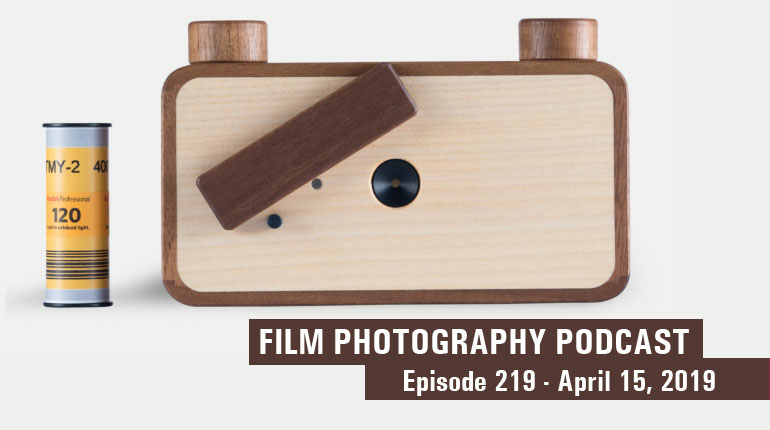 While big manufacturers continue to scale-down their production of photographic films, the small startup is where the action is at in film photography. Film Ferrania’s 2014 Kickstarter is finally starting to come to life, and they’ve even launched a new B&W film this year! New camera’s are popping up all over Europe, with both budget and boutique in mind. Even Kodak has committed to bringing Ektachrome back later this year. 2017 is shaping up to be a big one for the film shooters. Whoa, wait a second, only 4.8 lbs.?!? Compared to the standard folding field camera that’s an impressive slimming down of an 8x10; with an average weight savings of nearly 10 lbs. Those extra pounds get used up pretty quickly with lenses, film holders, tripod, head, darkcloth, loupe, and more, but will be revolutionary in the field. For my large format friends that love hiking really far for that killer landscape shot, this means more usable range. 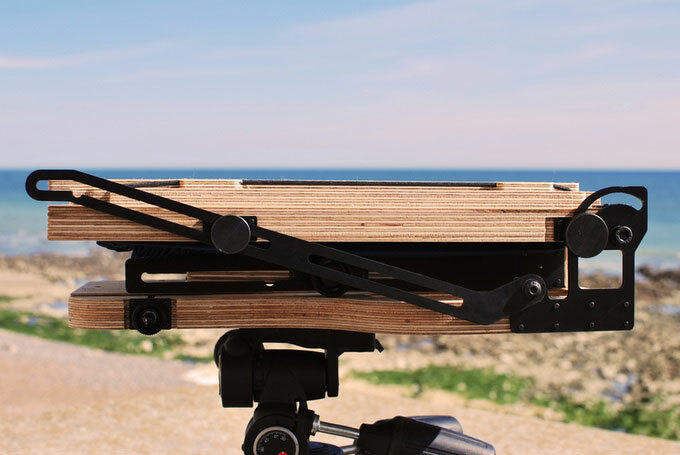 The lens board takes the Sinar universal standard. 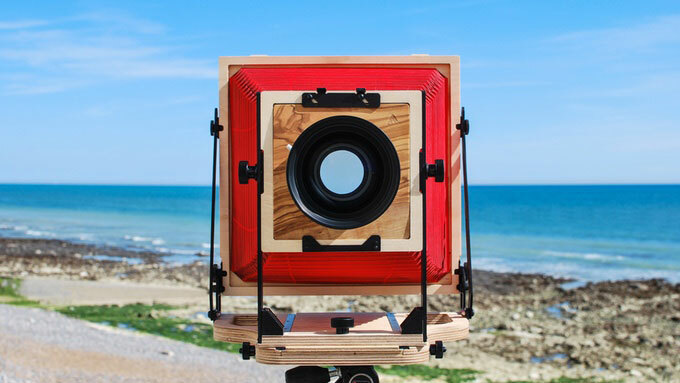 This is a great choice since there are already tons of these lens boards in circulation, and they work on a large number of field and monorail 4x5 and 8x10 cameras. 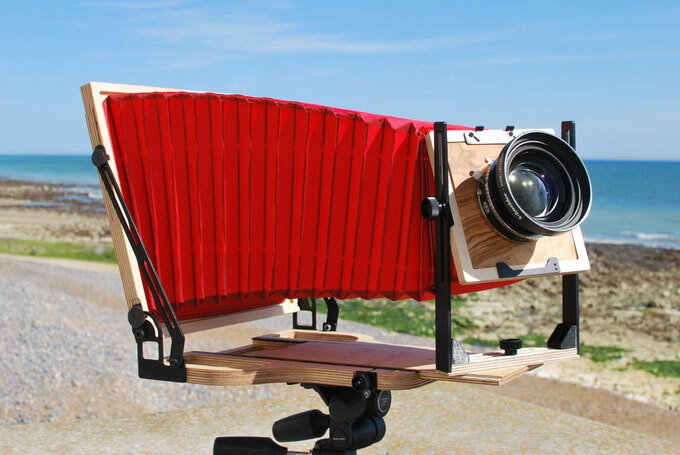 There are also many options for adapting to and from Sinar-sized lens boards. Bellows extension falls within the range of an excellent wide angle field camera, similar to the double-extension Tachihara and Wista 8x10’s. For those new to 8x10, the widest lens covering the format is 75mm (the Goerz Hypergon). But keep in mind Intrepid also designed this camera with a 4x5 reducing back in mind. This makes more sense to their bellows choice, giving 4x5 shooters that prefer longer lenses more options. On the long end, a 600mm lens at infinity on 8x10 is similar to a 90mm lens. This doesn’t sound very long, but with years of using one, the absolute longest I shoot is 800mm, and this is probably < 5% of my overall shooting. Next up are the camera movements. Years in the field with more limited movements have taught me that this camera has plenty of them. A majority of the creative movements a large format photographer needs are taken care of in the first few degrees of movement offered. Everything else like rear standard swing and front shift are icing on the cake. If an 8x10 shooter is looking for more precise movements, this is probably not the camera that appears first on their list, but might just be purchased for it’s incredible price. That brings us to the reason there are 300+ backers buying a new 8x10 camera, the price. Prior to 2017, buying a new 8x10 camera wasn’t a risk many newcomers to large format wanted to take. Even the most stripped-down and thrifty new 8x10’s cost several thousand dollars, before including necessary accessories like lenses, holders, etc. Back in March and April when Intrepid was teasing that an 8x10 was on the horizon, I told myself this camera would be a hit were it priced under $1250. About $1500 is what one would pay for a good, used field camera ready to shoot, so anything new under that price would fly off the shelf, right? Well Intrepid has done the community an even bigger service of offering this NEW camera at 480 GBP ~ 625 USD. Let’s break down that staggeringly low price point a bit further. This camera costs less than fifty sheets of 8x10 Kodak Portra 160, the very film it is designed to shoot. This camera costs the same as three brand new Toyo 8x10 plastic film holders, or six used ones if you shop around on “the bay”. When accounting for inflation, this is the most affordable 8x10 field camera ever made (point and shoot 8x10’s don’t count). For those of you still on the fence (myself included) I’m not sure what more there is to say. Intrepid is an ambitious company making a solid-looking product for a market that’s never before been served in film photography. It doesn’t even feel right saying this, but budget 8x10 film photography is here. If you’re someone interested in shooting 8x10 but have never had the chance due to size, budget, or both, there’s not a better time than right now. With ten days left, you can be some of the first to experience this marvel of large format ingenuity. Stay tuned, as I plan on taking one of these out into the field this coming fall and give it a thorough review.